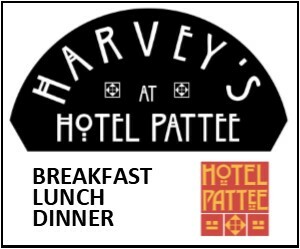 Hot and hearty, the biscuits and gravy served by members of the Perry Firefighters Association suited the chilly morning Saturday. 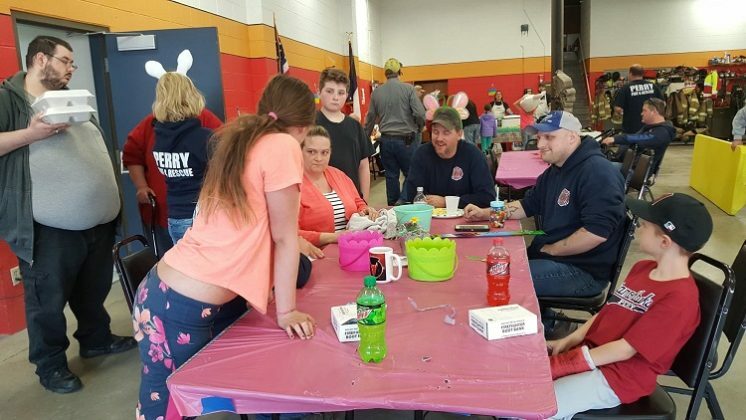 Perry firefighters welcomed family, friends and other generous donors to the biscuits-and-gravy fundraiser Saturday. 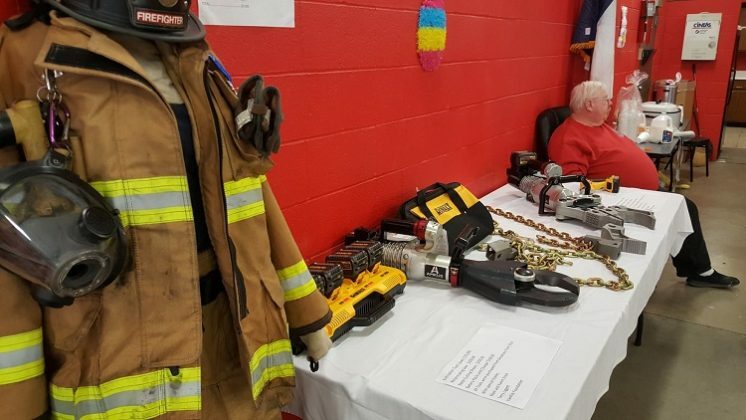 Bunker gear and firefighting tools were on display, bought with donations by the Perry Firefighters Association. 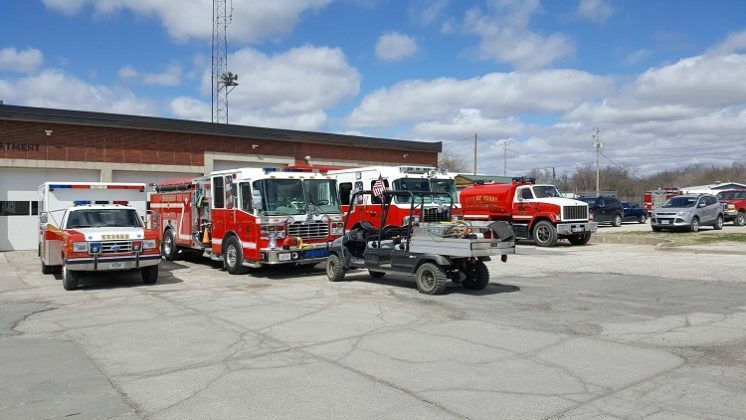 The fleet of the Perry Volunteer Fire Department shone brightly in the Saturday morning sun, having made way for the Perry Firefighters Association biscuits-and-gravy fundraiser. 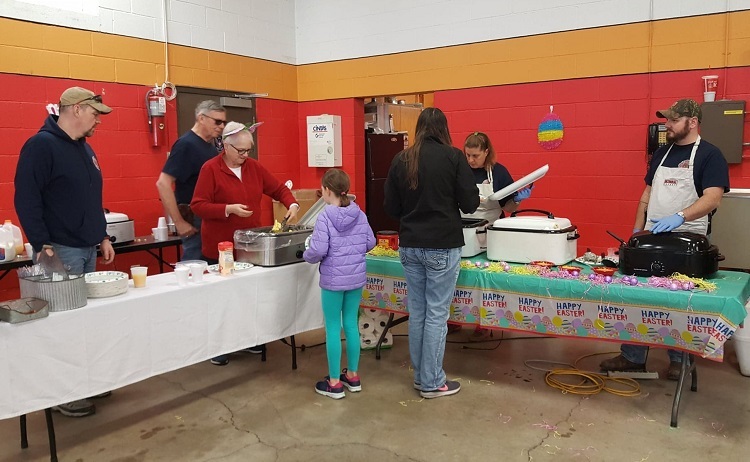 The Perry Firefighters Association cooked up a steaming heap of biscuits and gravy Saturday for a fire-gear fundraiser. 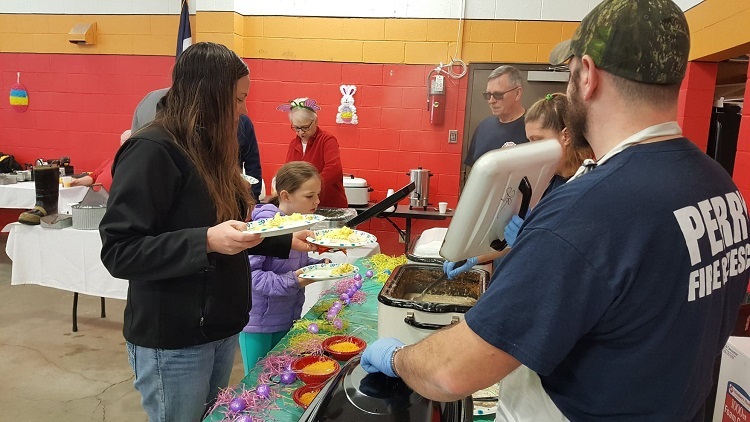 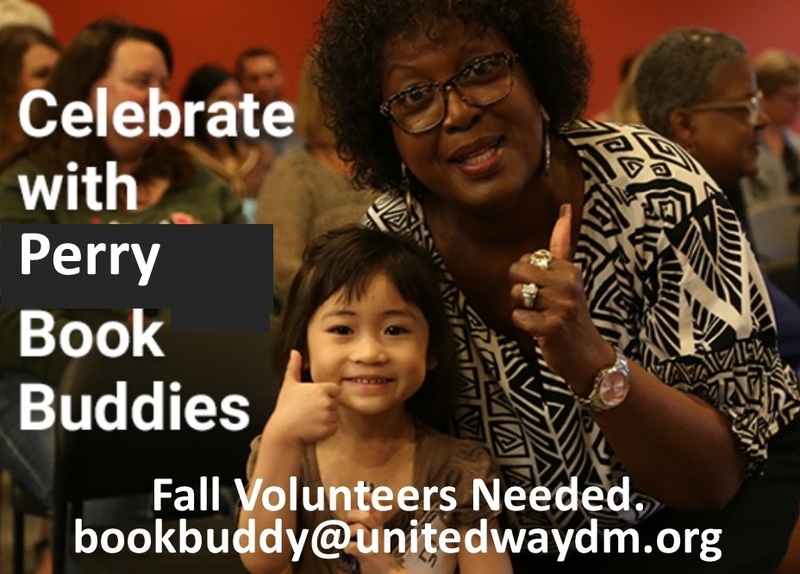 About 60 hungry diners attended the event, with their free-will donations going toward bunker gear — personal protective equipment (PPE) — and other firefighting equpiment for the 60-person force. 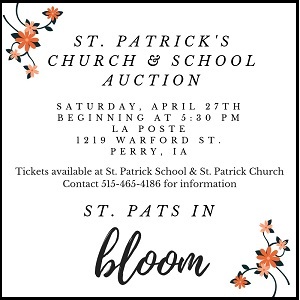 Along with the hearty breakfast food, tables were laid with gear bought through prievious fundraisers and genersous donations, such as extrication tools — Jaws of Life — a reciprocating saw, metal-cutting shears and battery packs and charges.